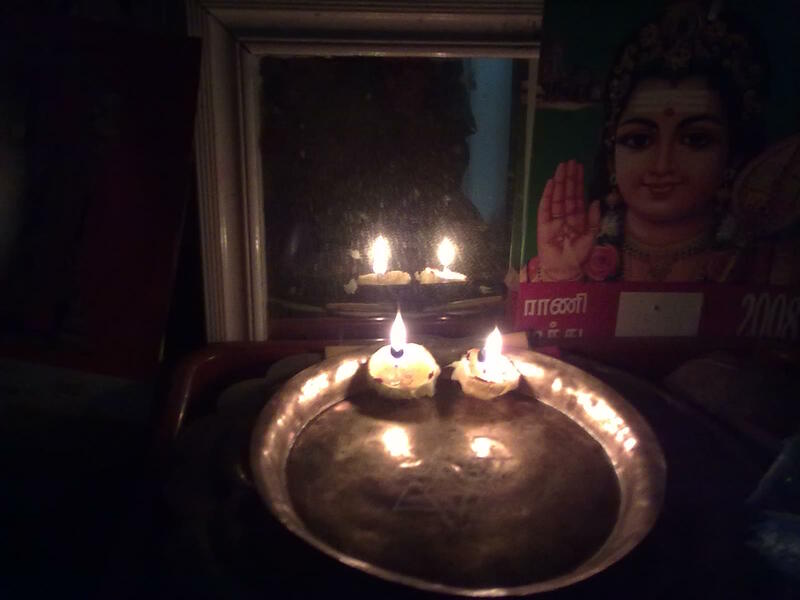 I lit the nimbu lamps (elumichai vilakkus). In fact, when I told Vidur its Hanuman Jayanti, and he reminisced about “if Paati had been with us now….” – so I made vadais for neivedyam – after teasing him about how she would have told him :thairsadam (curd rice) with whole milagu (pepper) is vishesham for Hanuman ! In fact, she would have made it and convinced Vidur to eat a couple of spoons. Sigh – the child is not a fan of curd. Its colder this year than usual, but that also means I get to wear a cool orange (yes, orange!) jacket I have, which I never have a chance to use. As usual, we’ve pulled out all the woollens – not at all sure whether we’ll actually get around to using all the stuff, but its fun to go through them and air them anyway. I came across this tiny sweater of Vidur’s – barely half a foot in length – oh, I should have taken a picture of it! Now am too lazy to climb back up and take it out. Too tedious. Still – sweet memories. So hard to believe how time has flown.